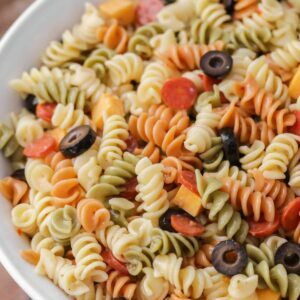 Easy and delicious Italian Pasta Salad recipe that includes Rotini pasta, olives, tomatoes, & cheese in Italian dressing! 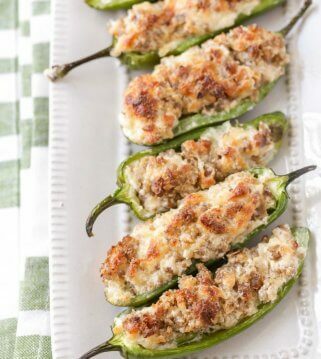 It takes minutes to make and is perfect for any get together including BBQs and holidays. Summer is all about being lazy and enjoying time with family! We love to BBQ and gather for dinner with friends, and one of our go to salad recipes is today’s pasta salad. 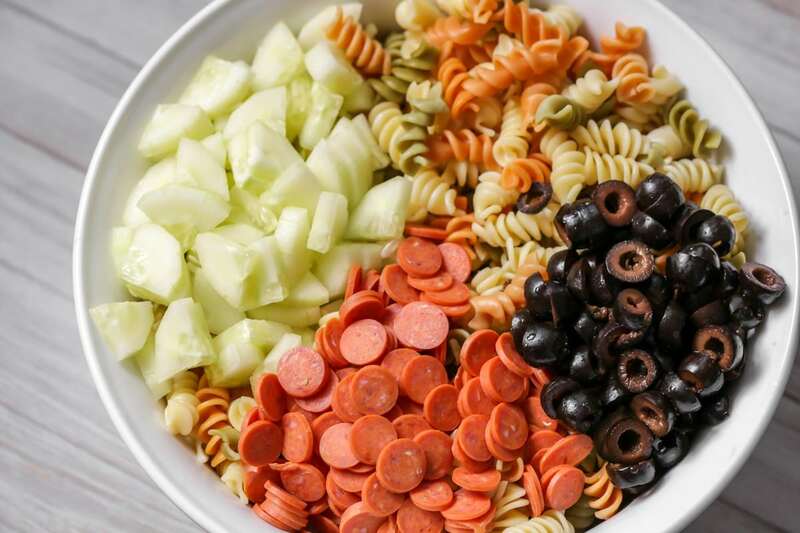 Our family has been making this pasta salad for our family functions for at least 10 years now, and it’s always a hit when we make and bring it to other events. Depending on the crowd you’re feeding, or what your family likes, you can customize the ingredients to your choosing. 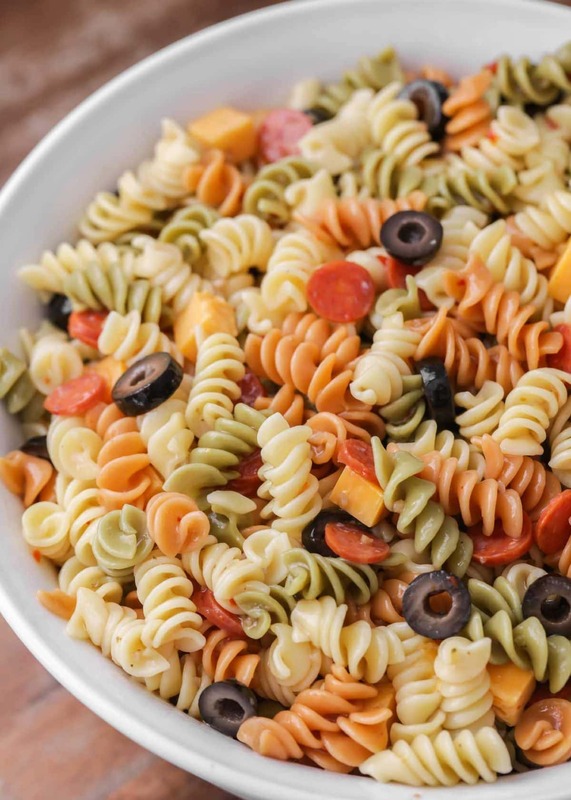 Regardless of what you decide to include, this pasta salad is easy and simply the best! What is the best pasta for pasta salad? You want to choose a pasta that has nooks and crannies to little pockets of dressing and herbs. Choose the short pasta shapes like fusilli, farfalle, rotini, and penne. You can’t go wrong with any of those pastas. 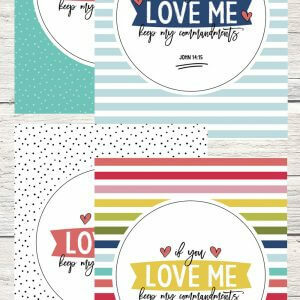 Their small size makes them perfectly easy to serve and eat small bites. 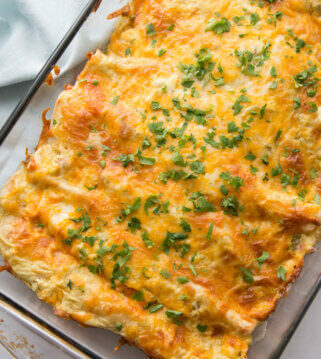 We love that this recipe can be made in a jiffy. You can make a homemade dressing to go with it, but we love that Italian dressing is the perfect addition for this pasta salad. Begin by boiling the pasta noodles as instructed on the package. When they’re cooked, drain and rinse pasta with cold water. Add in your desired amount of other ingredients (we always use olives, cheese, and pepperonis, sometimes tomatoes and peppers). Pour at least half of the Italian dressing on the salad, and mix well. Refrigerate for at least 2 hours, and pour the remaining dressing on right before serving! Can pasta salad be made ahead of time? Our easy pasta salad is best when eaten right after you put the dressing on. If you want to make it ahead of time, store the dressing in a separate container and toss it with the pasta salad before you want to serve/eat it. How long does pasta salad last? Leftovers? Don’t worry- you can keep this pasta salad in an airtight container and it will last in the fridge for 5 to 7 days. You can have pasta salad for lunches and dinners all week! Can pasta salad be frozen? One question that people as a lot is, can you freeze pasta salad?? Yes, and no. 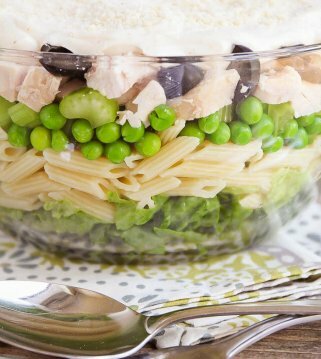 You shouldn’t freeze the pasta salad that has been tossed with all the veggies, cheese, and dressings. But you can freeze all the ingredients individually. Make sure to cook the pasta al dente (cook it a minute or two before it’s suggested cooking time). Put the pasta and veggies in one freezer bag and the dressing in a smaller freezer bag. Freeze these together and then thaw them together when you are ready to serve and eat. This is so similar to the pasta salad that my in-laws have always made. It is simple but really can’t be beat. It is always a hit for both the adults and kids! Thanks for all nice recipes. 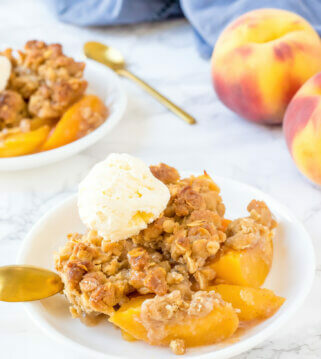 Do you know about how much this recipe would serve? Do I see chopped tomato in your pasta salad? 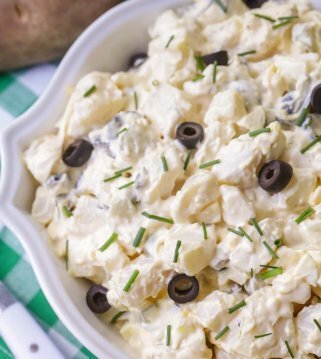 Have made your potato salad and I absolutely love it! Thanks for the great recipe. I forgot to mention that! Sometimes I add chopped tomatoes and cucumbers. 😉 And I’m so glad you liked the potato salad – it’s our FAVORITE!! 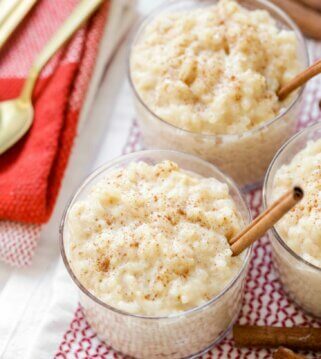 Wonderful recipe ! I love salads. I love salads too!! This is one of my favorites! Thank you! This looks really fresh and flavorful. It is! I hope you try it soon!! 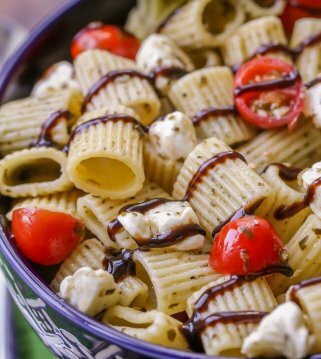 This is my all time favorite pasta salad recipe. 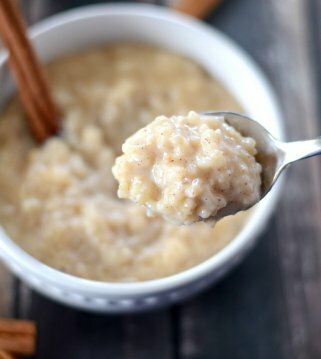 It’s super easy and so yummy. Sometimes I like to use it as a main dish and put some parmesan chicken in the mix. 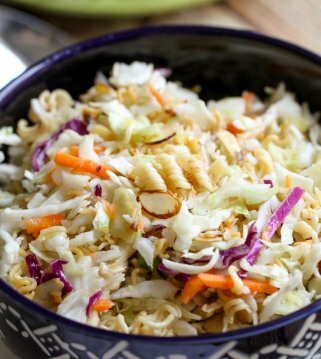 This is my go-to salad for everything!! It is always a hit & gone so fast! And, I love how easy it is! The Italian dressing gives it a nice flavor! You are so welcome!! Thank you for trying it! My children never liked the paste, but in this interpretation with the salad, they really liked it. They say that when they come from school and do all the lessons, I would have prepared a dish for them again. I am just in joy! Sincerely, Anna, freelance writer at WritingCheap. Oh, I am so glad they like it!! Thank you for letting me know! Really very tasty and versatile in preparation of a dish. Thank you 🙂 It’s our go-to for sure! 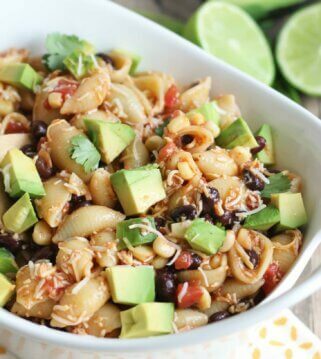 This is my go-to pasta salad! 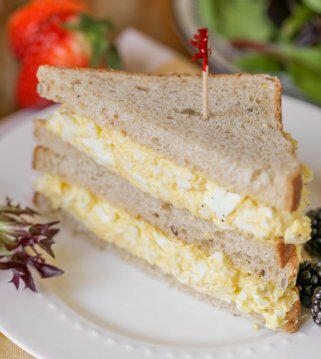 I love how easy it is to make & always try to keep the ingredients on hand. Anywhere I take it, it’s gone so fast! A family favorite. This salad is easy to put together and filled with all the things we like. The dressing is light and makes a very good salad without the calories. 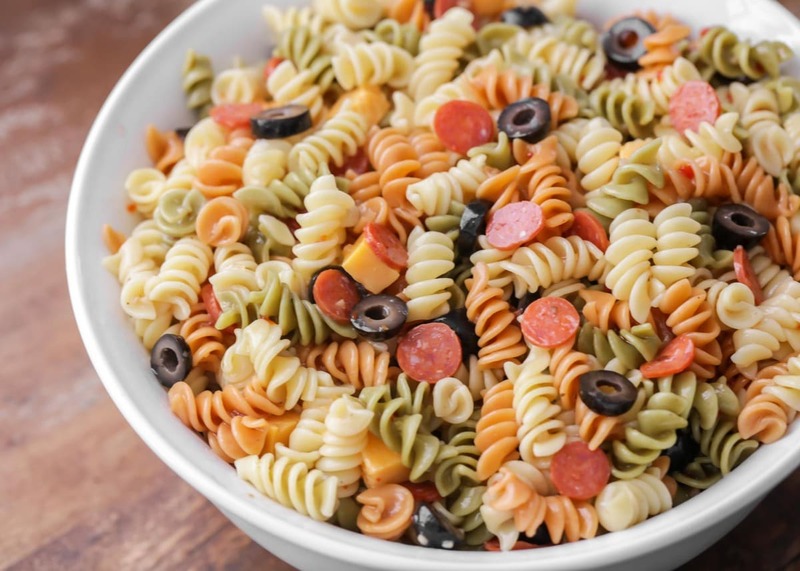 this pasta salad is so full of flavor! I could eat it all day everyday!